Stories and reflections on family life with autism thrown into the mix. When my four were little I overheard them talking together about what they were looking for in a future partner. Leila was hoping to find someone who was kind and intelligent. Edward wanted someone who was patient, intelligent and who, like him, had a strong dislike of tomatoes (always good to have diet compatibility in a long-term relationship!). Seb merely gagged at the thought of a romantic relationship and refused to contribute further. As they all turned towards 6-year old Ivy for her thoughts on her ideal future partner she simply uttered the word “rich” in a quiet and determined manner that silenced us all. Seeing as it’s Valentines day I thought a post about love and autism was completely appropriate. I don’t watch loads of TV but every now and again my guilty pleasure is to sit down and watch an episode of The Undateables. This programme follows people who have lifelong conditions or disabilities who are searching for long-term relationships. When it was first aired a few years ago I was horrified and thought it would be an awful parading of “undateable” people for the amusement of the masses. I didn’t watch the first few series as a kind of self-righteous protest. But one day I stumbled across the programme and didn’t turn it off. I was pleasantly surprised to see how respectfully and sensitively the programme is made. In my opinion it helps raise awareness and understanding about people who are in some way different and who share the same hopes for love and companionship as most of us experience. 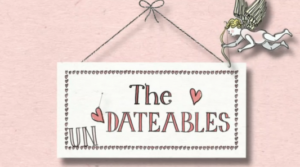 The “undateables” include people who have physical or learning difficulties, autism, Tourette’s and people who have experienced life changing events through illness or accidents. Some wonderfully uplifting moments occur; it’s definitely a no holds barred tear jerker and I love it. On The Undateables the parents are sometimes shown giving their adult child dating advice. The advice which is broadcast is often fairly vague like “just be yourself”, “try to relax and enjoy it” and “have a good time!” but I bet those parents have given tonnes of more specific advice off camera. The programme got me thinking about what my advice would be to an adult child with autism who was about to go on a first date. Smile when your date arrives – make it look like you are pleased to see them (even if you don’t feel like it). Use a set piece of small talk to break the ice “Thanks for coming – how was your journey?” or “Have you been here before?” or “This seems like a good place.”. Ask the other person what they would like to drink so that you can place your order. Learn a few conversation starters to get a conversation off the ground (see below). Listen carefully to the answer that the other person gives and ask another question which closely relates to their answer. Don’t randomly introduce new topics too often or the person will feel that you are not listening to what they have to say. Avoid talking at length about one particular topic or about yourself unless the other person keeps on asking you for more information about the topic or about you. You do not want to bore your date to death. If it seems to be going well, the conversation is flowing, your date is smiling and laughing and you are thinking you’d like to see them again say something that let’s them know you are having a good time. For example, “I’m really enjoying talking with you/ spending some time with you.”. If you really like the person pay them some compliments – ones referring to clothing, hair, eyes or general attractiveness are a safe bet for a first date. At the end if you have enjoyed the date ask the other person if they would like to meet up again. If they say yes – ask for their number. Don’t lose the number! At the end if you decide you don’t want to see the person again – thank them for the date and say goodbye. Do not give them a long explanation about why you don’t want to see them again, even if you think this feedback would help them on their future dates. Don’t be shy about calling them to arrange a second date – but leave it for a day or two so that you don’t come over as super intense. Here’s a few examples of conversation starters to help get a conversation going. Remember that these questions are NOT for printing out and taking with you to the date – If you got the printed list and systematically worked your way down it your date would probably feel like they were being interrogated or interviewed for a job position! Most people are not looking for a boss figure for their long-term relationship. Good conversation flows two ways – so listen carefully in case your date asks you a question. If they do, make sure that you answer it. Remember that most people, autistic or not, feel a bit nervous on a first date – it’s part of the human condition. I’m aware that this advice will probably come across as extremely unromantic and forced to people who find it easy to have engaging conversations. However If you are someone for whom making conversation is challenging learning a few conversational strategies could make the world of difference to how well a date goes. 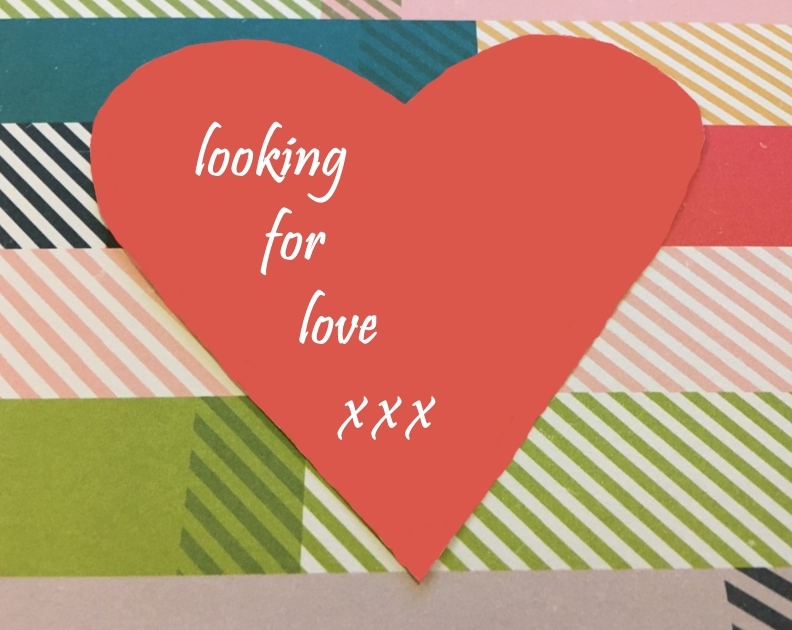 If you are looking to find love – I wish you all the very best. Good luck! Thanks to everyone who voted for me in the first UK SEND blogging awards. I am delighted to say that I’m now a finalist in the newcomer’s category, along with three other bloggers who are also writing about family life with autism. 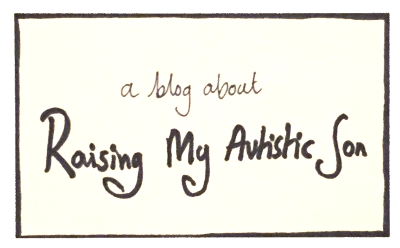 I would be very grateful if you would vote for A blog about Raising My Autistic Son to give me a chance of winning my first ever award – to vote click here. The other finalists all write fantastic blogs which I read regularly – so whichever one of us wins will be a win as far as I’m concerned! If you want to be sure never to miss a post please sign up to receive all my posts by email. I will not pass your email on to anyone else! I know what you mean about the protest-I think the title that bothers me for a start! Nevee had the courage to watch! Lynne, have you considered a new career running a dating agency? I imagine there are a number of neurotypical people who would benefit from that crib list! Another ‘lovely’ blog and well done on the nomination, I voted for you! Thanks for your support Louise! No plans to change career at the moment!